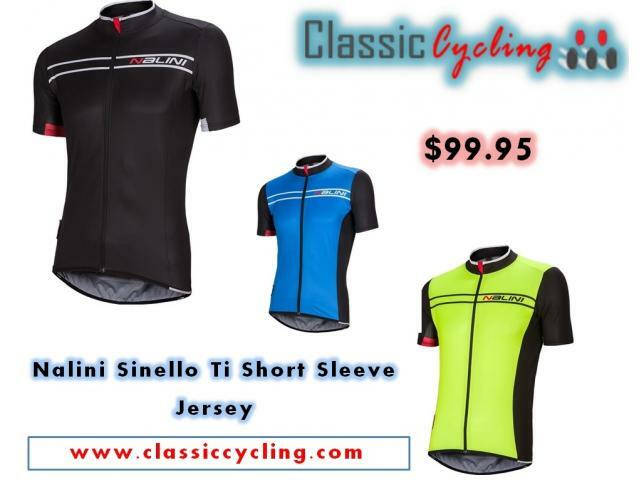 Nalini Sinello Short Sleeve Jersey is your go-to jersey for riding in warm weather. The full-zip jersey has a regular cut rather than a race cut for cyclists who prefer a little more room between the body and fabric. Crafted with Hot Moa XLight, sweat and excess heat is rapidly transferred away from your body to the outer layer of the jersey so you stay cool and dry. The fabric feels fabulous next to your skin and moves with your body. The material also eliminates odors caused by microbes and offers UPF 50+ protection from the sun’s harmful UV rays. Nalini Cycling Clothing Sale > Nalini cycling clothing is among the worlds best cycling clothing and the supplier to the worlds best riders and teams. If you are looking for quality cycling clothing you are looking for Nalini. Hot Moa Xlight is highly breathable and lightweight. Keeps your body cool and dry in both hot and milder weather. Elastic yarns grant optimal fitting and a pleasant softness. Designed to wick moisture away from the body for quick evaporation.